We recently asked some of our Team Infinit athletes to share some of their tips for using our products. 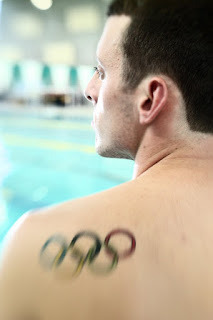 Today we want to share with you why and how Olympic Medalist Ryan Cochrane loves using our blends. "With 4 - 5 hours in the pool and at least an hour of dry-land training, we can call our daily training schedule a full time job. It’s easy to see what you’re going to be doing each day, but ensuring extended health and muscle development isn’t exactly at the forefront of our minds. It wasn’t until later in my teens when I realized the importance of recovery. “Get a lot of sleep” they tell you, “try to eat a balanced diet”… all these mantras seemed to miss out on an extremely significant aspect of sport: the during and post products that aid in muscle growth, help you avoid sickness, and get you that much more ready for the workouts ahead. Here in Victoria, we’re fortunate to work with an outstanding dietician, who really works hard to instil these lessons. Infinit has been a pivotal part of that learning process. 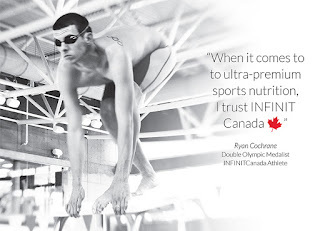 As an athlete, I’m always looking for high quality products with tested, reliable ingredients and Infinit has always checked those boxes. Carbohydrates are a must when we are doing our 80 km weeks, and the Jet Fuel blend is our go-to for during training. Sure there’s the other sport drinks in the market, but I appreciate knowing where the ingredients come from in the products I trust. After any workout (no matter how far we went in the water) I have to have a high protein food source within 30 minutes; after that time, I’m missing out on refuelling my body in a way that I’ll get the most benefits out of the day. Occasionally I’m able to grab some food, but for the most part I’m busy at a meeting, heading to another training session, or out running an errand. For those moments, Infinit’s Repair is an easy product to use, considering I only have to add water. Creating these habits allows me to not worry about my nutrition: I can therefore put all my energy on bettering myself in the pool each day. No one want wants to worry about whether they’re doing enough to support their sport goals, so adding Infinit is an easy way to know you’re making the right choice." 120 000 Meals Packed in 2 Hours!!! We had the privilege of being involved with an amazing charity event today- so too did 500+ people at the Rhodes Drive Ground Effects Plant in Windsor. 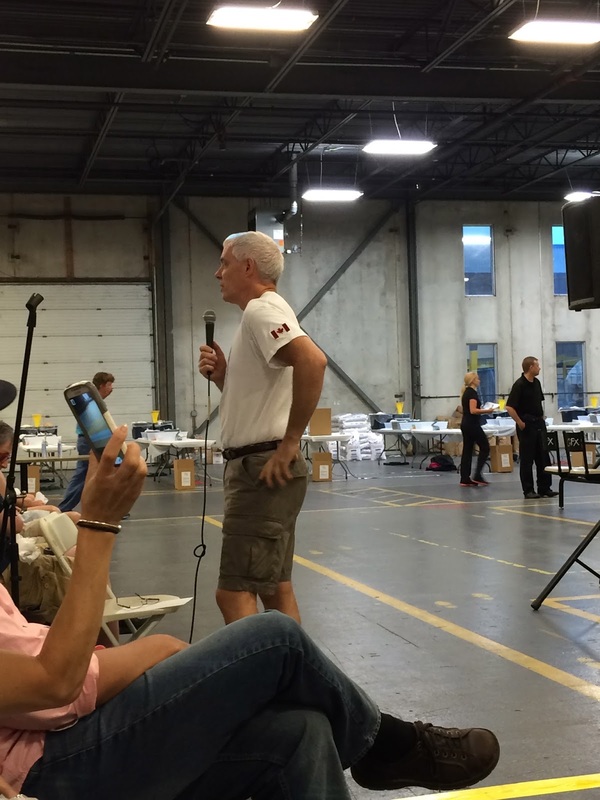 Today's packing of 120 000 meals was incredibly organized and was initiated by Jim Scott, the president of Ground Effects. Jim is involved with various charities, and has been supporting Haiti since just before the 2010 earthquake. Today, he was partnered with William Lowry from 'My Neighbour's Children' a charitable organization that is focused on feeding Haitian children -some that are near death. 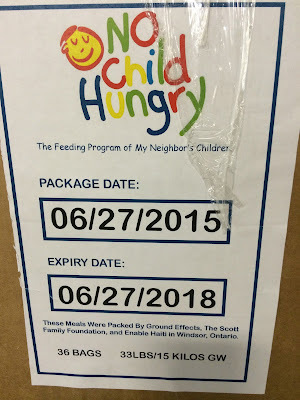 In the hour preceding the packing of the meals, we got insight into the need, and some quick training on how we were going to pack the meals efficiently and safely. We got started at 9 am - broken up into Teams of 10, with about 40 stations total. At each stations we added dried vegetables, textured soy protein, a vitamin pack and rice. 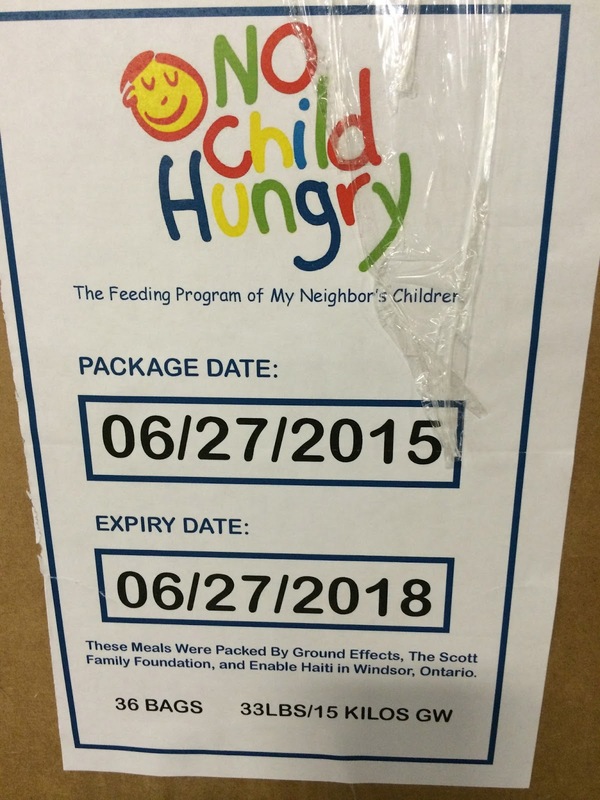 Each soup bag we packed contains the equivalent of 6 meals - enough for 24 hours worth of food. 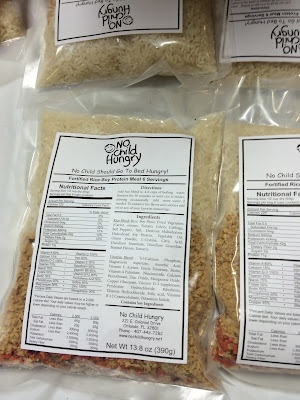 After adding all the ingredients, each bag was weighed and topped up with the right amount of rice to hit the target weight of 390 to 395 g. The bag was then handed to the sealing people and ultimately, 36 pouches packed into each box. To say it was an efficient process would be an understatement. Truly a well oiled machine. All ages working together today for a few hours, making such a huge impact. I got a chance to talk with Pastor William Lowry at the end. He gave me his card as there may be some assistance we at Infinit can provide. His card has a statement: "Choose to Care!" What a line! We feel blessed to have been part of this today. Jim and his Team at Ground Effects were amazing - he indicated at the beginning when kicking the day off that this all started with a thought and an email. Crazy what can be accomplished when we follow through with our thoughts and ideas. In William's words: Choose to Care today, you will be glad you did and so will the people you touch! thing - but even folks like Lionel Sanders have to pay heed to some basic principles. 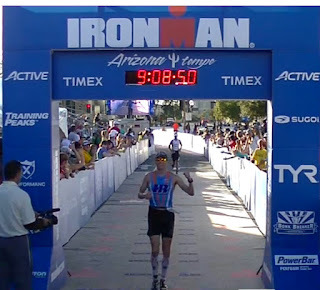 "Ironman racing is all about conserving energy and nourishing your body optimally through the swim, the bike and the first half marathon so that you are in the best possible shape to run your fastest second half marathon." Those who run the second marathon closest to their full potential will have the strongest overall finish. This is really hard to do mentally - often we are trapped pushing the bike pace early on in the race with all the excitement, and rarely does this end well. My coach for years, Richard Pady used to guide us at the Lake Placid training camps to ride the first loop conservatively - he would tell us to find an easy gear and then go with one easier than that for the first half. On the second loop, we would look to stay there, he always said the hills are much higher on the second loop. Unfortunately - Perception is Reality! Close to equal splits is best on the bike. Yesterday during a nutritional consult and race planning session we were talking about heavy legs and quad muscle cramping. Almost always when this surfaces it is related to athletes ratcheting the intensity up a notch during the race. Again Rich's advice to us was that on race day we could never do something that we didn't do in training. This is true on so many fronts. One area is that, as we increase our intensity we also increase our sweat rate or fluid loss. If we were doing a bottle an hour during training at a good, long bike intensity and then our intensity level increases dramatically, now what worked in training with respect to fuelling, may be suspect. It is really important to know the intensity that you plan to race at and fuel optimally in training for that intensity, so that you can repeat this for race day. It is important to avoid the temptation to be a hero on the bike - be a hero on the second half of the run. It is so motivating passing all those who haven't at the end. Race the way you train and reach your true potential. "In 2006 Lanette was watching the Winter Olympic Games on TV and saw Canadian Mellisa Hollingsworth slide headfirst down an icy chute, to a bronze medal finish, in a crazy sport called skeleton. For some reason the thought that went through her head was “Hey, I could do that.” Within in the year, she was signed up for the skeleton driving school at Canada Olympic Park. After a few runs of ping-ponging down the track, she was hooked. Since then, Lanette has climbed the ranks from recreational slider, through the North American and European circuits of the development level, and onto the national team in 2011. 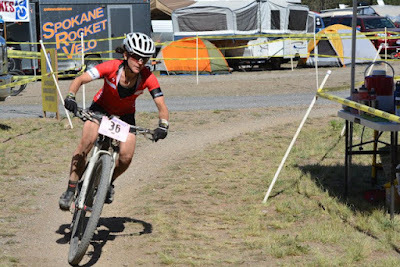 After three seasons of racing internationally on the Intercontinental Cup circuit, this past season Lanette achieved her long-time goal of qualifying for a spot on the 2014/15 World Cup circuit. She did exceptionally well in her rookie season on World Cup, with a top 4 and several top ten finishes. She also finished top ten in her first ever World Championships, placed 9th overall on the World Cup Circuit, and is currently ranked 2nd in Canada. She looks eagerly to the future where World Cup medals and a spot on the 2018 Olympic Winter Games podium are in her sights. Lanette also has a passion for travel and can regularly be found backpacking around the globe, with more than 50 countries checked off her list, and always one (or two … or more … ) more voyages in the works. Beyond sports, work and travelling, Lanette is an avid reader, outdoor enthusiast, foodie and can be easily bribed with cupcakes. If it is fast or exciting or dangerous, or preferably fast, exciting and dangerous, that’s probably where you’ll find Lanette. Unless “The Bachelor” is on TV that night." Lanette is currently training in her off-season, but we are excited to track her successes this upcoming winter. Welcome to the team! About a year and a half ago, we set out on a mission to create the perfect fuelling system for Crossfit athletes. We worked with successful athletes like Jolaine Bloom, Dan Bosco, Kyle Cant, and Erica Livett, as well as a few Crossfit gyms to find out the strengths and weaknesses of the current Crossfit nutritional systems on the market. We took this feedback and formulated our Strength Blends, which will prepare you for battle every single day. Since then we have began to work with a few Crossfit boxes across Canada. 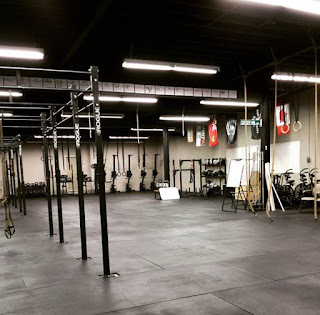 One particular gym, which is also located here in Windsor has had great success with Infinit We love everything that owner Bobby Tran is doing at his gym, CrossFit The Workhorse Lifestyle. Bobby's gym caters to your typical CrossFit population with daily WODs and MetCons. His goal is to create relentless, strong, hardworking individuals who are physically and mentally fit regardless of their selected discipline. This philosophy has allowed him to create a gym where the likes of all sports can come and train. He not only works with individuals, but also teams - training athletes for cycling, volleyball, basketball, soccer and hockey... to name a few. When we heard about the WHL and what it meant to be a member of their community, we knew we had to become part of the family. We wanted to help Bobby in his journey to make the most well-rounded athletes and we are thrilled about our partnership and excited to see what the future has in store for Infinit and The Workhorse Lifestyle. "I've been in the fitness industry a long time. I have seen fads come and go and usually whenever something catches fire, everyone wants to jump in on it. When Darcy, the owner of Infinit approached me about selling his products at my box, I was skeptical. I have had so many different companies come up to me to try and sell their products and I have always refused. Caring for my athletes and clients is always my priority. I would never sell them something that I myself do not use or fully trust. Darcy was more than willing to let me try his products first- his confidence in his brand proved to me that it wasn't just about making money- it was about making people better. Darcy comes from a competitive background so I knew he understood the needs and wants of my clients and how important it is to fuel properly with ingredients that the body can truly utilize. 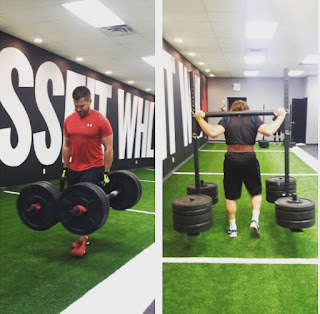 He volunteered to do multiple seminars to educate my clients on proper supplementation which I feel is over and beyond what most companies would be willing to do. trying his products for 2 months I was ready to share them with the rest of the Workhorse Nation, immediately I received great feedback. Athletes felt energized for their workouts and they were recovering a lot faster than before. We were able to train harder and more frequently and as a result, we were optimizing our training. Ready to Make the Switch or want some more information about Partnering with Infinit? 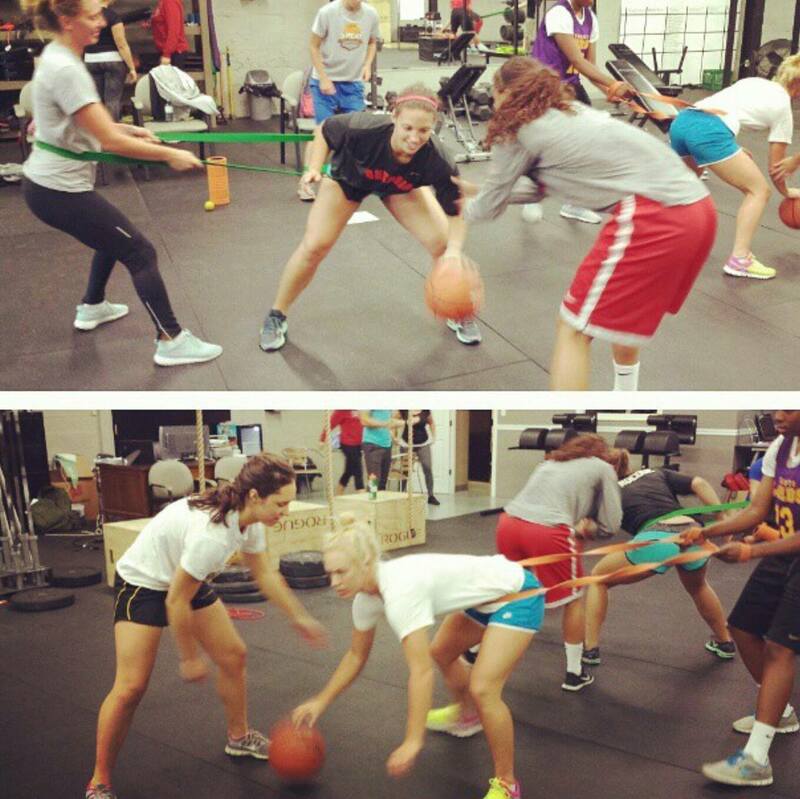 Give us a call - we are always ready to help you and your athletes become the best you can be! Infinit is excited to be teaming up with Wild Bettys Mountain Biking Club for their annual FunDuro. 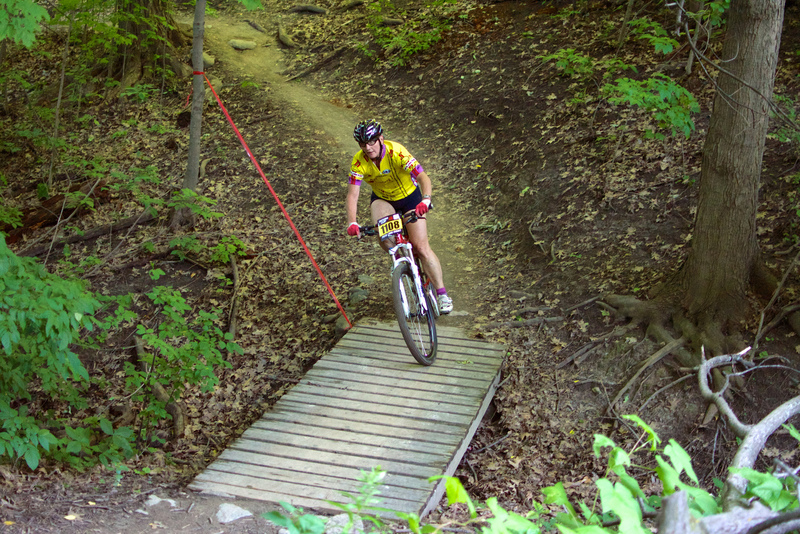 The FunDuro is a women’s only 2 and 3 lap race in Crothers Woods (Toronto). 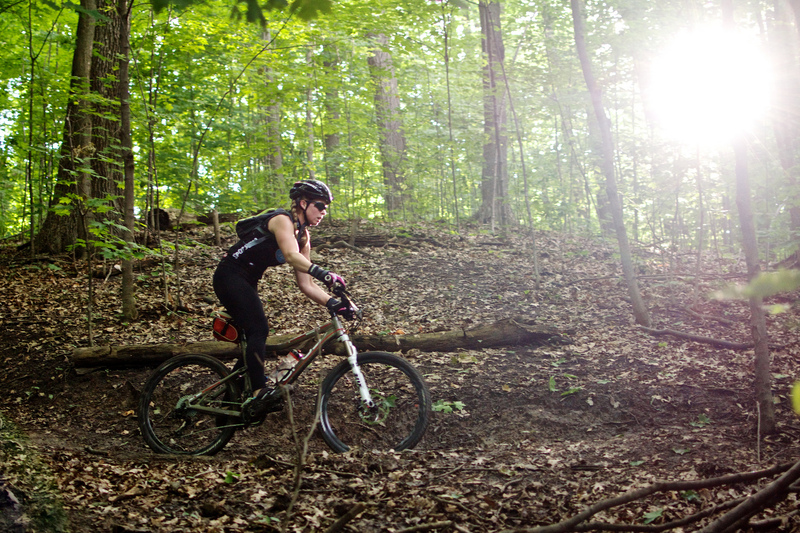 It is an exciting opportunity for mountain bikers to experience the awesome trails that we have right here in our own Canadian backyard. The first race will begin at 6:30pm on Tuesday, July 7th (Raindate July 14th). Preceding the ride, prizes, refreshments, ice cream, and awards will be distributed during the post race celebration! More information about the race can be found here. It is important to always be fuelled properly for whatever sport you are competing in. Infinit has created the perfect fuel blend for all forms of cycling, which will prevent bonking and limit the amount of fuel you need to carry to just one water bottle. Gone be the days of travelling with numerous bars, gels, and drinks. Our trio of fuels will have you performing your best day in and day out, making you faster and feeling great. Jetfuel will keep you hydrated, prevent muscle cramping, and maintain optimum muscle function. Ride is the drink of choice during your cycling efforts. It will keep you hydrated, and initiate the recovery process. 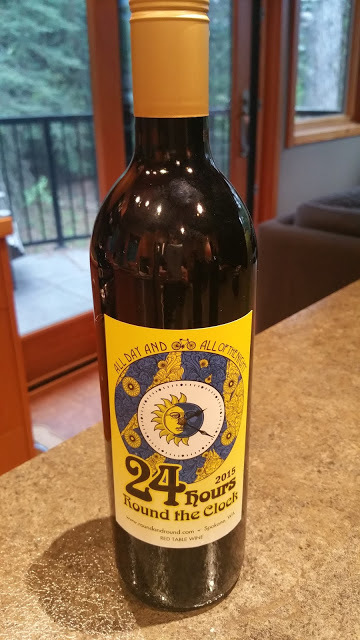 Post race, have a bottle of Repair. Not only will it have you ready to ride the following day, it will also help promote muscle growth, making you a stronger, faster racer. 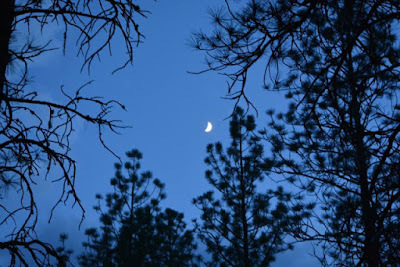 "This month I spent eight days riding in the mountains of North Carolina. 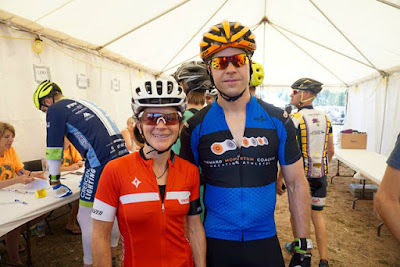 I couldn't have done that and step right back into racing without Infinit Repair," shared Lisa Fender, a member of the Wild Bettys racing team. Check out our line of Cycling products here: Infinit Cycling. One racer at the FunDuro will have the chance of winning a Infinit Cycling Fuel Kit. We hope that you can make it out to the event! 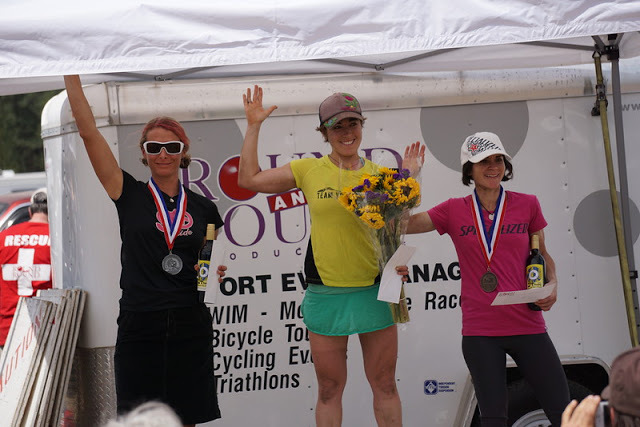 We are always excited to hear and share the success stories from our athletes, and Julie Kelly's last 24 hour race was an impressive one. 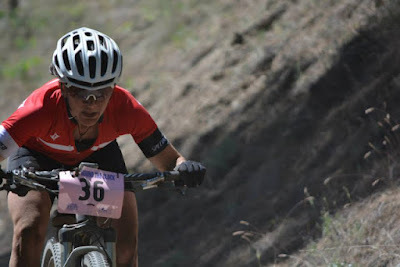 Check out her race report below. "It has been an extremely early biking season in BC, riding dry single track since February! So good to be getting miles in on the dirt. 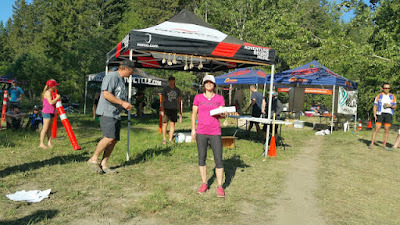 Two weeks prior to this race headed out to Salmon Arm, BC for the 6 hour Salty Dog race. It was a hot and dusty one. 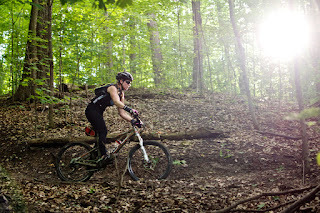 I was pumped to get 8 laps in and take the win for Solo Women overall. Eighty-four kilometres on some technical terrain was a good training block. 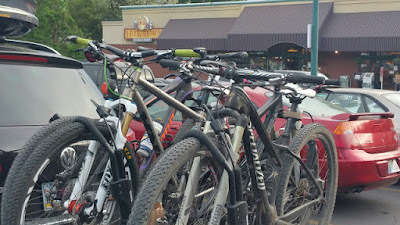 Headed out to Rossland a few days before the race with fellow 24 hour racer and friend Ryan, to hang out with our coach. We had some good times on the trails, enjoyed some great coffee and of course had a few laughs. We arrived in Spokane Friday to set up the pit and get a pre race lap in. The course was in good shape. There was a new section of single track added after Strawberry Fields. It was super fresh and would be very dusty and slow race day. Made our way to my favourite Huckleberry's to stock up on food and beverages. Then it was back to the hotel to finish the race prep. Race day was clear and it was going to be a hot one! Finished setting up the pit and getting everything sorted. We were unsupported so lights, layers and bottles of Infinit Nutrition were all ready to go. The morning always goes fast and before you know it's time to line up at the start. I got to the front of the line for the run. The gun went off and it was go time. A short run then on to the bike to start the 15 mile loop. Of course the first lap is always a little crazy but it did space out towards the back end of the course. Back to the pit in good time, grabbed a bottle of Infinit and back out to do it all again. Ryan and I ready to go! After a few laps the heat was definitely starting to take a bit of a toll so decided to slow the pace. I didn't want to slow down too much, knew things were tight between myself, Jari Kirkland and Chelsey Magness. Grabbing sips of water along with my Infinit every lap seemed to help with the hydration. With the heat it was key to have proper fuel. I was confident that my Infinit would get my through. Things were moving along pretty good and it was time to mount lights. I kept the stop pretty quick grabbing lights and gave chain a quick lube. When I rolled into the pit next lap Amber, Ryan's partner was there. She had completed a running race in Canmore and then drove all the way to Spokane. Wow what a girl! It was nice surprise to see a familiar face. Next lap, I put on some layers and had a quick chat with Amber. She said I was doing well and thought I was 2nd. I wasn't really sure as I knew Jari and I were battling it out back and forth. I didn't know where Chelsey was sitting. I just kept trying to push through during the night enjoying the cooler temperatures. The dust was pretty bad and it was tricky at times to see with it reflecting off the lights. I stopped a couple of laps and wiped my eyes with a wet cloth. There is always one lap where you wonder what the hell you are doing and if you are going to be able to continue. For me it was the lap just before the sun came up. Amber & I struggled getting my arm warmers over my watch and transponder, LOL. It was a team effort to lube the chain, one rotating the crank and one applying lube. In my blurry state I had to ask if the lube was actually coming out ;-)? That next lap was a little better and I was ready to take layers off and get rid of my lights. From that lap on was starting to feel pretty good and lap times were getting faster. I was in 3rd and just had to keep on riding. Easy right?! I asked about 4th but was told no concern there. I ran into a female Solo rider the next lap and she said was battling for 4th or 5th. On my last lap Amber passed me a bottle and said I had to go right away as 4th was on me. I was in shock! Took off like a crazy person and was riding as fast as I could looking over my shoulder from time to time. I was going over the conversation I had with the Solo girl who said she had completed 13 laps. I was on 17. Hugh?!! A guy did a brutal pass on the new single track section and took me down. I was annoyed but no time to get too excited, had to get back on my bike and get to the finish! In the end it turns out 4th was close but I was 3 laps up. Oh well, it's always a good test to see what is left in the tank at the end. I guess there was still a bit ;-). Wow, what a challenging race with the heat and a very competitive women's field. I took 3rd with a total time of 24:17:52 (huge improvement over last year's time), 17 laps, and 410 kilometres. Ryan won for Solo men overall! It was amazing to have some Fernie friends cheering me on into the wee hours of the night! As well, the other racers and volunteers really get into it creating an amazing vibe. It really is the little things that make a difference when you are out there alone struggling with the mental and physical challenges. Dreaming of the podium wine is also helpful ;-). Thank you to Amber, Coach Shaun, Infinit Nutrition, Specialized and of course my family for supporting me. I could not have done it without you! I look forward to the next adventure." Good luck on the rest of your season, Julie! 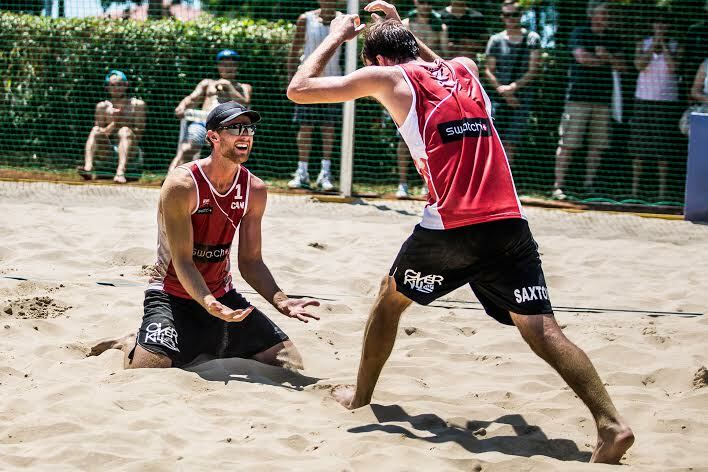 The summer beach season has been off to a great start for the beach volleyball duo of Ben Saxton and Chaim Schalk. The pair has made their presence known on the international stage so far this season, with outstanding performances at their past two tournaments. The guys started their season off ranked 19th at the Moscow Grand Slam. They finished the round robin play at the top of their pool, having defeated the Netherlands (14th), Poland (3rd) and Belarus (30th). The duo would have a bye through the first round of elimination play, and would face a touch matchup against the 16th ranked German team. Unfortunately, this match would end the weekend for the pair, however they finished the weekend in 9th place - an impressive showing for the pair. The following weekend, the pair flew to Croatia to compete in the Porec Major. 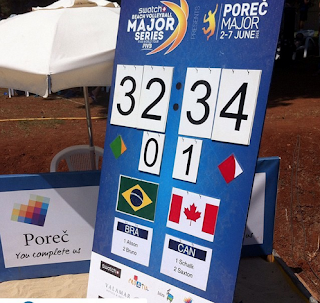 After their strong showing at the Grand Slam, they were ranked 16th in the tournament, and would be placed in a pool with Brazil (1st), Canada (17th) and Croatia (32nd). Even with unfavourable weather, with temperatures reaching the mid 30’s, the pair handled their competition easily, finishing a perfect 3-0 in pool play. We loved what Chaim had to say about Infinit: "It was hard to keep our energy at a consistent high level so we had to be smart during the matches. It was also crucial to have our fluid energizer with us for all matches”. We love being able to keep our athletes hydrated and ready to compete, regardless of the circumstances. The monumental moment for the pair was defeating the number 1 ranked Brazil squad in 2 sets, with scores of 21-16 and 34-32 respectively. The pair would make it through to the quarterfinals, where their success would be cut short by the 6th ranked Netherlands squad - however, the Canadians would go on to finish 5th in the tournament. Next on the schedule for the duo is the Stavanger Major in Norway from June 10-14, followed by the St. Petersburg Grand Slam from June 16-20. We are very proud of you Ben and Chaim! Good luck on the remainder of your season! Infinit Nutrition is proud to be teaming up with the Brain Tumour Foundation for the 2015 Windsor Spring Sprint. The event is held annually to help raise money to end brain tumours. Infinit is happy to announce that local Olympian, and Infinit fuelled athlete, Melissa Bishop, will be helping raise awareness at the event. We are excited to be supporting a local charity that is working to help a great cause, and we are thrilled that the Brain Tumour Foundation and Spring Sprint has allowed us to help in their journey to end Brain Tumours. The goal for Windsor is to raise $50,000 through donations, race fees, and a silent auction; the Canada wide goal is to raise $1.7million. Today, 27 Canadians are diagnosed with a brain tumour daily - your support can help end this statistic. The 2015 Spring Sprint will be taking place at the Windsor Riverside Sportsman Club on Saturday June 13th. Registration will open at 8:30am, and the Walk/Run kicks off at 10am. More information on the event can be found on the Brain Tumour Foundation website or the Spring Sprint website.